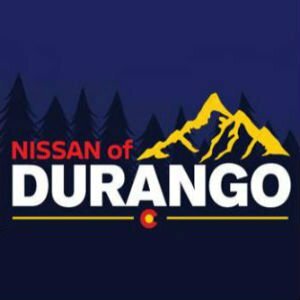 When you need a new vehicle, check out the new Nissan cars, trucks, and SUVs for sale at Nissan of Durango. With an expansive inventory of vehicles from Nissan’s incredible lineup, you’re sure to be happy not only with your selection but also with your overall shopping experience. Nissan has a decades-long reputation for producing some of the most outstanding vehicles available. Nissan cars, trucks, and SUVs combine state-of-the-art safety and tech features with unprecedented reliability and modern, stylish designs. Quality testing centers around the idea that each and every Nissan is built to last, integrating the three-tier Safety Shield system to monitor and respond to potential hazards while protecting the car’s occupants. The brand’s innovative spirit for safety and technology extends to their bold, creative designs. Our showroom inventory features a vast selection of new Nissan cars, trucks, and SUVs. The Nissan Rogue is a stylish crossover SUV boasting outstanding fuel economy, a spacious cargo hold, and a refined, well-appointed cabin. This all-around favorite has received an interior and exterior refresh for 2017. Drivers who need the power and utility of a full-size pickup will appreciate the Nissan Titan, also redesigned for 2017. It’s equipped with a powerful V8 that delivers 390 horsepower and a towing capacity of 9,390 pounds. For a smaller pickup, you can’t go wrong with the value of the 2017 Nissan Frontier, which has outstanding reliability scores and the ability to tow 6,710 pounds despite its compact size. Eco-conscious drivers who want to save at the pump should consider the Nissan Leaf. This compact plug-in electric car is surprisingly spacious and offers an expanded driving range of 107 miles on a full charge. When you’re shopping for a new vehicle, Nissan of Durango is ready to show you all the impressive vehicles in the Nissan lineup. Whether you want a sports car like the 370Z, an entry-level compact like the Sentra, or a full-size SUV like the Pathfinder, we’ll be happy to answer your questions and help you find the right Nissan for your lifestyle.